Which Form Do I Use to File My Taxes? Filing an income tax return is not a one size fits all chore. The Internal Revenue Service (IRS) has three major tax forms that taxpayers can use to complete their returns. Which form you choose will largely depend on the particulars of your specific tax situation. Consider the limitations and benefits of each tax form before filing your return. The IRS tax forms range from simple to complex. The simplest form, also known as the short form, is the 1040EZ. The 1040A and the 1040 are designed for more complex tax returns. So the first thing you must determine before selecting a return is how complex your tax situation is. There are rules and limits for each tax form. 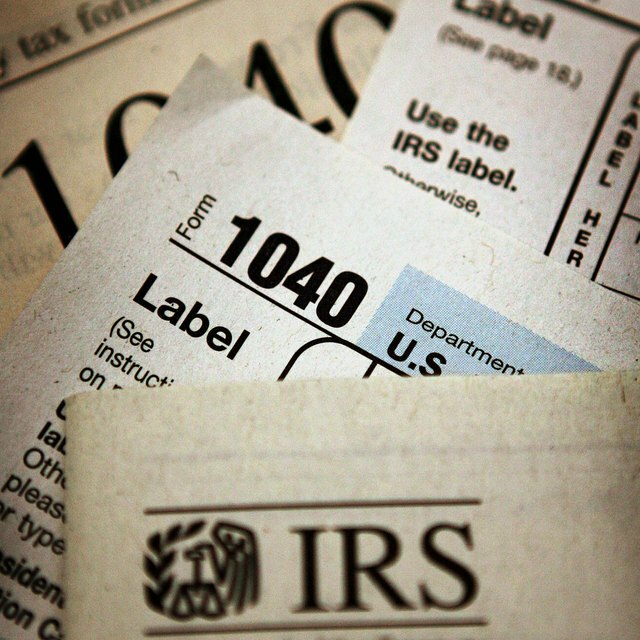 The form with the most limitations on what can be filed on a return is the 1040EZ. This form is made simple so filing is quick and easy. Taxpayers can use the 1040EZ if they earn less than $100,000 a year, file as single or married filing jointly, are under 65, are not claiming dependents and have less than $1,500 in interest income. They must have income only from wages, salaries, tips, taxable scholarships and fellowship grants, unemployment compensation, qualified state tuition program earnings or Alaska Permanent Fund dividends. Also, they did not make adjustments to their income (such as medical or student loan interest deductions), do not plan to claim any credits and are not claiming the additional standard deduction for age or blindness. The 1040EZ is only one page long and in most cases does not require or allow for additional schedules, such as the schedule used for itemized deductions. Keep in mind, though, that adjustments to your income, such as deductions and credits, lower your overall tax liability. If you are eligible for these adjustments, you should not use the 1040EZ just for simplicity’s sake. What Is a Simple Tax Return? Are There Different Types of Form 1040? The complexity of your income tax return depends on your income, number of dependents, filing status and age. If your tax situation is a bit too complex to use the 1040EZ (maybe you just have a few deductions, but not many), you should opt for the 1040A. The 1040A has some similarities to the 1040EZ; a taxpayer’s income must be less than $100,000, and you are not allowed to itemize your deductions. But with a 1040A, taxpayers can claim a few additional credits, such as the credit for child care and dependent expenses and education credits. In all, there are eight credits that 1040A filers are allowed to claim. You can file a 1040A if your income came only from wages, salaries, tips, taxable scholarships and fellowship grants, interest, ordinary dividends, capital gain distributions, pensions, annuities, IRA distributions, unemployment compensation, taxable Social Security or railroad retirement benefits, taxable scholarship and fellowship grants or Alaska Permanent Fund dividends. 1040A filers are also allowed the IRA deduction and the student loan interest deduction. If the IRS rules forbid you from using the 1040EZ or 1040A, you will need to use Form 1040. With the 1040, you can claim any deductions or credits, earn in excess of $100,000, itemize your deductions, claim a deduction for a health savings account contribution and recapture the first-time homebuyer’s credit. When you use the 1040, your tax return is free from restrictions. Denise Caldwell is a finance writer who has been writing on taxation and finance since 2006. Her articles appear regularly on websites such as Gomestic.com and MoneyNing.com. She has taken what she learned while working at the IRS to provide readers with helpful tax and finance tips. Caldwell received a Bachelor of Arts in political science from Howard University.